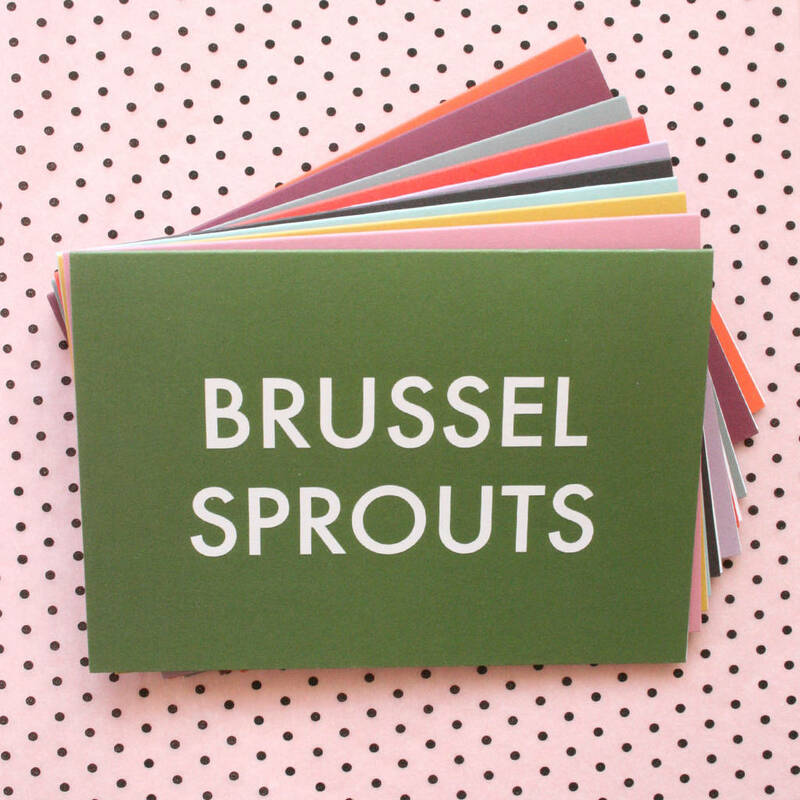 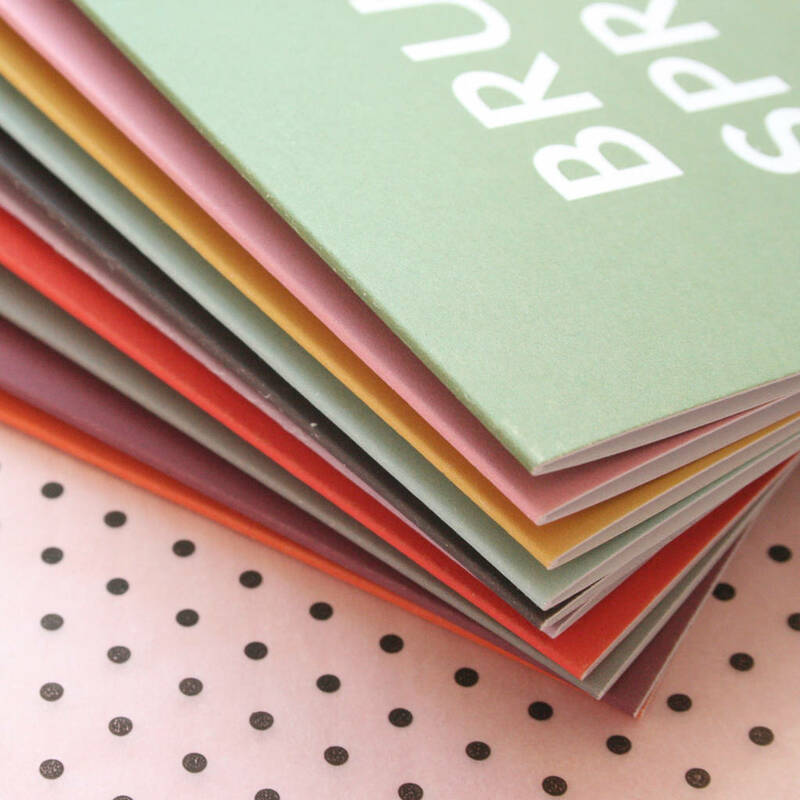 A fun + colourful contemporary pack of ten Christmas Cards. 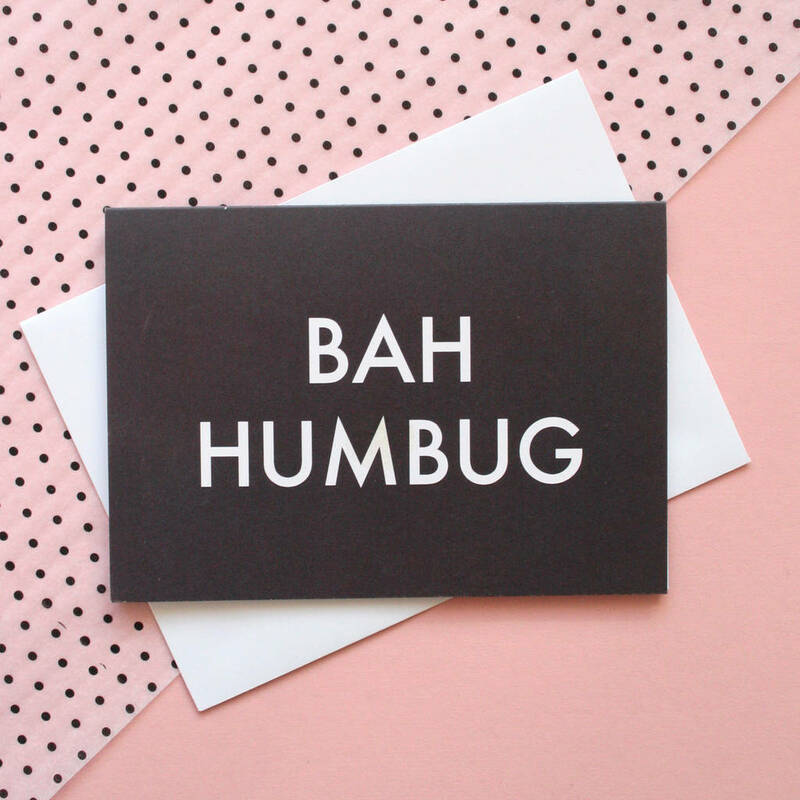 The brand new 'Something for Everyone' Christmas Card collection by The Squid Ink Co. Each card is designed with a different person in mind, from the Grinch to Brussel Sprouts enthusiast. 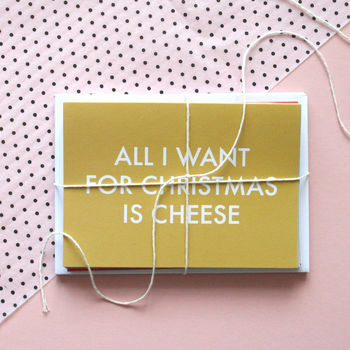 This pack of ten Christmas Cards are printed in an array of colours on recycled card, and include simple white envelopes. 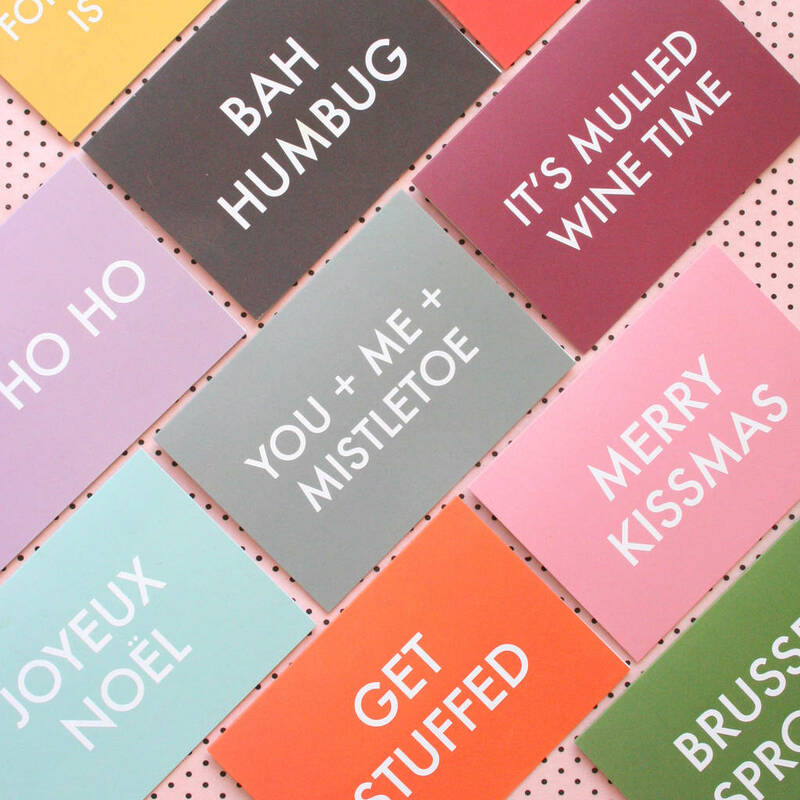 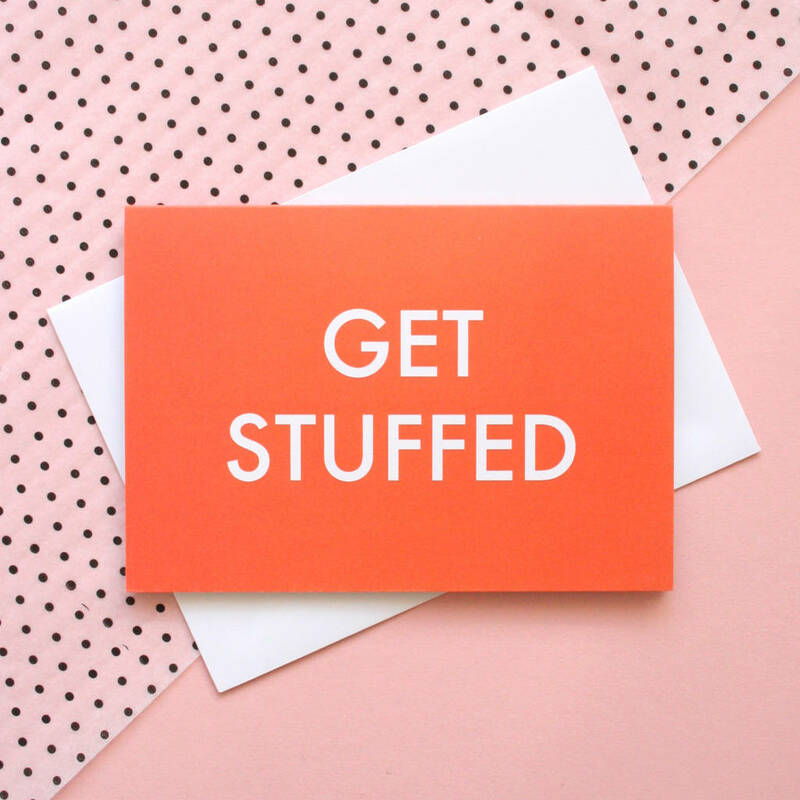 Card messages include: Joyeux Noel, Merry Kissmas, Brussel Sprouts, Get Stuffed, All I Want for Christmas is Cheese, You + Me + Mistletoe, It's Mulled Wine Time, Secret Santa, Ho Ho Ho & Bah Humbug. With a blank inside, write your own messages to the lucky recipients.